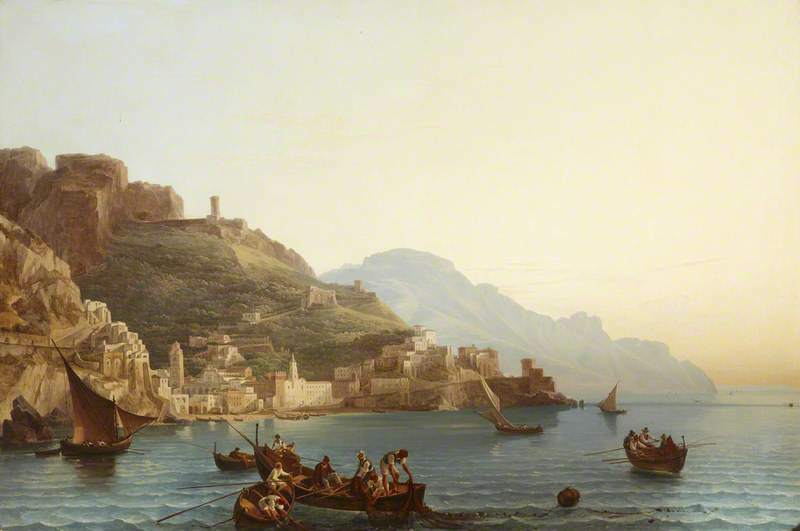 Franz Ludwig Catel (1778–1856) painted scenes in Rome and southern Italy that have a sentimental fondness for a land warmed by the sun, where life is lived at a pace that is not likely to wear one out. His views are overwhelmingly in brown and yellow tones, as if every site he visited is stuck on yellowing pages of past glory. The way of life is a prominent feature in these works, not just natural beauty, nor the imposing architecture. They contribute to what makes a scene worth memorializing, but the way one spends their time while there, and the way it feels to be under the warm Italian sun, make for a more charming reflection.